Silence is set during the early years of Christianity in Japan and the story revolves around Father Sebastian Rodrigues who sets off with two other fellow priests after hearing news that his mentor Father Ferreira apostatized. No one knew for sure whether Father Ferreira is still alive and no one can confirm if the news/rumors about him renouncing his faith were true. Rodrigues embarks on a journey that may cost him his life. Sounds like an adventure given that as a gist of the story, right? However, it takes a different scenario focusing on Rodrigues’ faith, feelings and conscience. The story started too slow for my taste, to be honest, I wouldn’t have continued reading if I had another book with me at the time. It’s a novel about faith and one’s personal view of God and leans heavily on Catholic theology specially for the first part of the book. The main issue is, as the title suggests, silence. We see very terrible things happening around us and if you believe there’s a God, at some point, it makes you ask why doesn’t He intervene, why doesn’t He do something, why does He allow evil things to happen? Does God see us in our breaking points? God himself said, “pray and I will hear you and that I will love you and comfort you.” But then, silence is all there is. The first words in Silence were the first words I’ve read from Shusaku Endo, I have never read anything by him before. But it kinda felt a bit odd though to find out that he is a Catholic, thus, he ought to understand the nature of their faith. I mean, it would make faith meaningless if God is a vocal God. Isn’t that what’s powerful about faith? That it exists without a conclusive proof of God’s existence? Anyway, God was silent to the end of the book. Rodrigues has to choose between renouncing his faith and save the Christians from being tortured or refuse to apostatize and see more Christians die from torture. I have mixed feelings about the ending maybe because I was expecting the story to end in martyrdom which is actually one of the main issues raised in the book about Christian missions and yet, Father Rodrigues apostatized. Be that as it may, Shusaku Endo was somehow able to reflect man’s thoughts in the face of adversity. A character who matters a great deal though is Kichijiro who represents Christianity’s greatest villain, Judas. A Japanese “Gollum.” A weakling. He comes and goes throughout the book but in his character is something we can find uncomfortably real. The relationship between Kichijiro and Father Rodrigues makes us understand about the latter’s torment. I’ve read reviews a few minutes before purchasing this book but I’m left slightly disappointed. I felt I’ve read a different book. I was raised a Christian but no longer share the faith so maybe that’s why I couldn’t really warm up to the main conflict of the story, but still, this book may appeal to many with regards to the juxtaposition it depicts, culture, the pitiful characters and their unanswered prayers and the tough what if questions people are perhaps afraid to address because it could lead them, or not, to conclude that there probably is no God. I’m interested to watch the movie adaptation though. Have you guys seen it? Would you recommend me watching it? Please share your thoughts. I’ve loved this book ever since I’ve read it in 2013. It’s one of the books that really left something in me. One of the very few that emotionally drained me. I watched the film adaptation and for those of you who have been following me for some time now, I’m not a big fan of movies based on books, so of course, I was disappointed. The only thing I liked in the movie was the boy who played the role of Hassan. Hassan has always been one of the top book characters very dear to me since I’ve read this and he’s the only thing that didn’t disappoint in the movie. I’ve decided to reread this a few days before Christmas. I knew that the book is gonna make me sad and might affect my mood for the holidays, but I read it anyway. The Kite Runner is the story of Amir and Hassan while growing up in Kabul in the early 1970s. Amir, a Sunni, is the son of a wealthy businessman (Amir calls him Baba) while Hassan, a Shia, is the son of Ali, their Hazara servant. The two boys are best friends but cultural and social barriers still separate them. Baba treats them equally as much as he could. Amir started to feel jealous of Hassan as Baba always admires him and always catches his attention without even trying while Amir on the other hand is trying too hard to impress him but Baba always gets disappointed. Amir decided to impress Baba in the coming annual kite-flying/fighting tournament. This is where the story really started. My heart broke for Hassan the first time I’ve read this. And it still did the second time. And if I continue writing about it, I might delve into spoilers even though maybe most of you must have read the book already. This is a book about friendship, father and son, brotherhood, relationships, jealousy, guilt, redemption, love, trust, freedom, forgiveness and mistakes. Mistakes we either make or make us. Khaled Hosseini used a very descriptive and simple writing style. The way and the amount of historical background he provided in the book was good enough so as not to overwhelm the reader. I liked how the story was told as it made me get attached to the characters which is one of the important things to me when I read a book. I was once again blown away by The Kite Runner and this will definitely stay on top of my favorite books, quietly seeping into my being. The book is set right in the aftermath of the second World War in both the island of Guernsey and London. The intertwined stories are told through a series of letters and most of them from an English writer, Juliet Ashton. The first letter came one day from a farmer and carpenter, Dawsey Adams. Juliet learned of The Guernsey Literary and Potato Peel Pie Society from Dawsey (as he is the founder) and thought that it has potential to be a subject of an article. (I will leave it to you to read and learn how they came up with that name.) The correspondence continued and the other members also started writing Juliet their stories. Little did they know how their lives would later mean to each other. This is an epistolary novel full of warmth, love and humor. All the characters were given a strong, unique voice that made them seem real, makes me want to meet them all specially, Isola. The letters not only reveal the horrors during the Nazi occupation in Guernsey but the kindness of people as well despite their situation. I liked the simplicity and charm of this book. You’d be laughing out loud one minute then you’d be tearing up the next. It left me wanting people to still be writing personal letters to each other and not just emails or text messages. It may sound a bit old-fashioned but the connection between people seemed more intimate and true. It’s an easy read and I enjoyed it! Some books leave you satisfied. Some books leave you confused. Some books leave you content. Some books leave you happy while some leave you sad. The Boy in the Striped Pajamas left me heartbroken. This is the story of a nine-year old boy named Bruno whose father is a Nazi commander during World War 2. After a visit from a man who Bruno calls as The Fury, his family has to move to Out-With where life is much different compared to Berlin. Bruno likes exploring so he decided to explore the new place. He reached a fence where he meets Shmuel, also a nine-year old and wearing the striped pajamas. And so an unlikely but special friendship begins. Book #19. A story of hope and incredible strength. This is a story about one family who were one night suddenly taken from their home in Lithuania and became victims of the mass deportations in 1941 to Soviet labor camps. I found this very interesting because it was written according to a 15-year old Lithuanian girl named Lina. She is just like other 15-year olds and she loves to draw. That night when the Soviet soldiers came to their home, Lina, together with her mother and younger brother, were taken to a dirty train car with other people. Her father still wasn’t home that night and so they were separated since then. Throughout the story, Lina felt the need to draw everything she sees in whatever piece of material is available. She drew almost everything that happens about the people around her, during the long years of journey, who were all just trying to survive in that extraordinary time. It is through great love, incredible strength and hope that Lina survives. 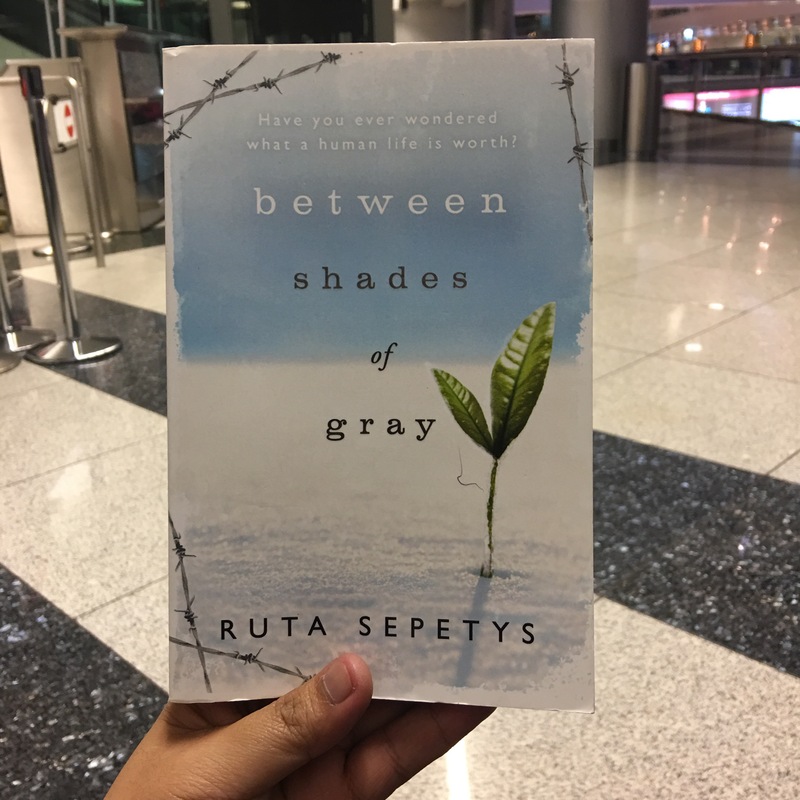 This is my first book from Ruta Sepetys and I loved it. I liked the way the book was written. I personally found it very powerful. I had tears in my eyes at some point. So if you haven’t read it yet, please do. It’s krasivaya! This novel spans the 80-year life of Rachel Kalama, who was born in Honolulu where when she was seven, she was taken away from her family and lived most of her life in involuntary exile on Moloka’i as a leper. In this island where lives are supposed to end, Rachel’s life begins. I enjoyed Rachel’s character and everyone else’s in this book. Rachel refuses to let her condition get in the way of a life well-lived. Seeing her grow up with leprosy along with her new-found family and friends made it an interesting read though I teared up here and there. Alan Brennert evidently researched quite well since a lot of historical facts intertwines with the story which gave me a snapshot of Hawaii in the past. Given its rich history and well-developed characters, this story will stay with me for a long time.